For this assignment we will be looking at the attributes of a rectangle. We will then compare the attributes of the rectangle with the area of the rectangle. To do This, we will be looking at the height, width, number of squares in the rectangle, and the area. The Students will be able to move the rectangle to create different sizes, and see how that effects the area. -What is the width of the rectangle? -What is the height of the rectangle? -When summing together all of the squares in the rectangle, how does that number compare to the area that is written on the side? -Is there a way to change the area? -If so how? -write down your new measurements of the width and height of your new rectangle. and compare those new numbers with the area. 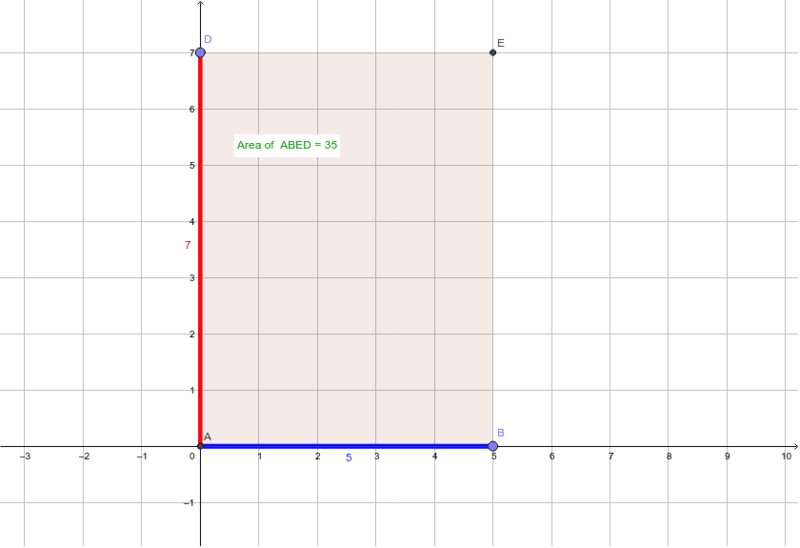 - Is there a quicker way to find the area, other than counting the number of squares?